The bus ride took only an hour and a half and had only cost us 70 Baht, each (RM7, US$ 3.50). Taking the bus has been easy enough with locals pointing out to us the gleaming blue bus (though there were a few blue ones!) that would take us to the border and tickets were conveniently purchased onboard. After a few friendly questions and a quick look into the webcam, the easy-going Thai Immigration Officer stamped my passport with a flourish. And now, here we are physically on the other side of Thailand’s frontier and yet, not in Myanmar. No other foreign travellers within sight. We stare at the road that loom before us, a tarmac path that unravels endlessly into the unknown. My traveller instincts buzz, anticipating the trove of adventures that lie ahead. 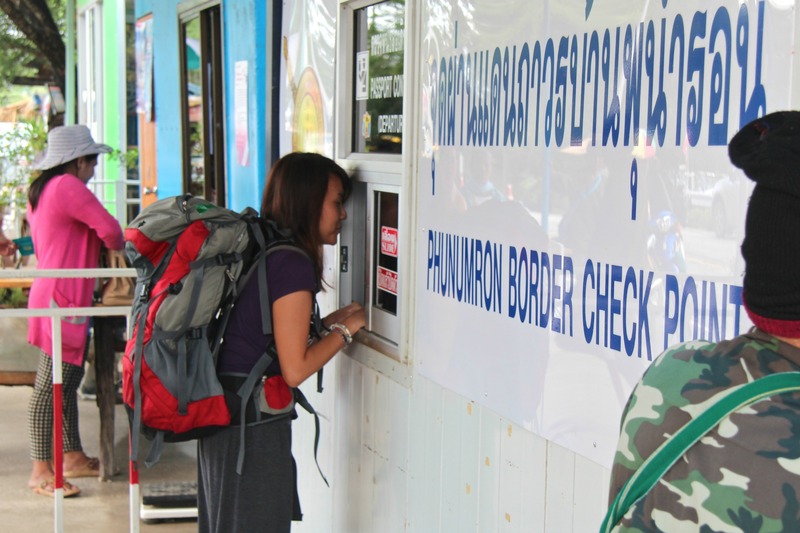 In August 2013, four border crossings between Thailand and Myanmar had opened up, allowing travellers the rare opportunity to travel overland between the two countries for the first time in more than 50 years. 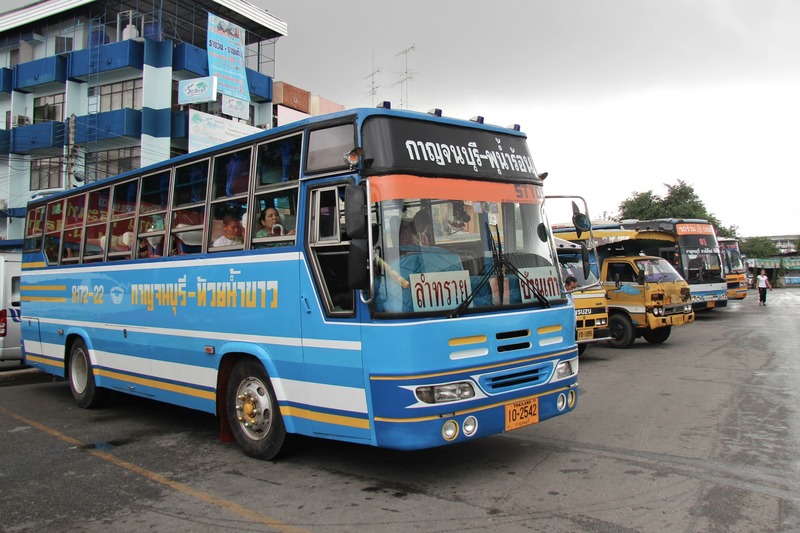 The borders-Mae Sot/Myawaddy, Mae Sai/Tachileik, Phu Nam Ron/ Htee Khee and Ranong/Kawthung-which were previously used for visa runs, now allow onward travel all the way into central Myanmar without restrictions. After having spent more than 1.5 months, volunteering in a make-shift English school in Thaketa village in 2006, I have always dreamed to return. The country then, still very much closed off to the rest of the world, had resembled a mystical land trapped in time. 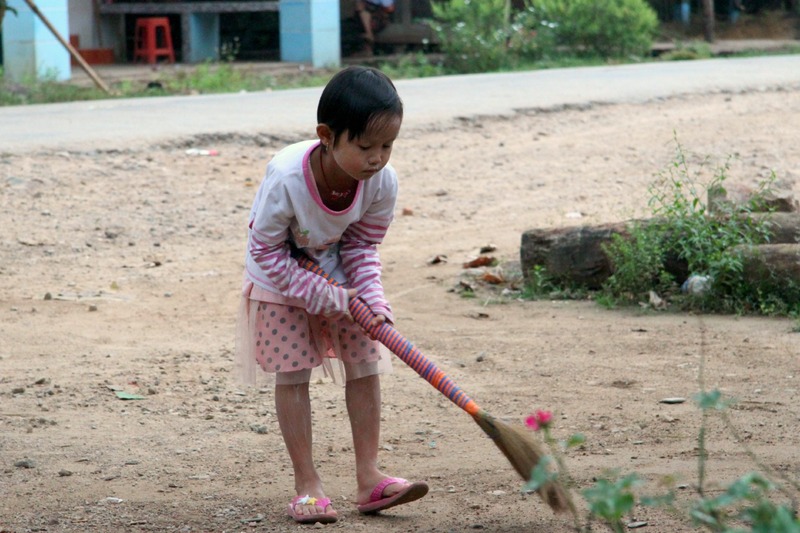 The hospitality and optimism of the Burmese people had charmed me to the core. These days, the country is changing fast. Coca Cola cans now line the supermarket shelves and mobile sim cards that used to cost US$1000 are now only US$5-10 with mobile data included! So when I gave up yet another normal job to go travelling again, I knew that I’d to return but flying into Yangon International Airport would have been too easy. Having deprived of adventures for a year and a half (there’s only so much you can do with a full-time job), a somewhat ambitious and remote overland voyage from Bangkok to Yangon seemed only befitting. Foliage flank both sides of the road that runs through ‘No Man’s Land’. A black pick-up truck is parked on the side of the road, its engine still running. I knock on the driver’s window to see if we could get a ride. “Minglaba!” I greet the driver as he lowers the window. “Are you going to Dawei?” I name the nearest township after the Htee Khee border. The young guy behind the wheel, smiles at us with his betel-red teeth but his gaze remains confused. It then dawn on me that in order to communicate without understanding each other’s language, the less words used in a sentence, the better. So I change tactics and try again. This time, he nods. I then point onto the space at the back of his truck, and he nods once again. I take that as an ‘OK’ and hurry to clamber up the open cargo bed on the back. The relatively new paved road stretches smoothly for a few kilometres before giving way to a gravel road with a checkpoint. Here, an Officer in a dark uniform, ask to see our passports. Without being required to get off the pickup truck, the Officer flick through the pages of passports to check the validity of our Burmese visas. Thankfully, we prepared our visas prior to our journey since we didn’t want to risk running into trouble with e-visas or visa-on-arrival at such remote borderlines. He then wave the pickup through and the vehicle now ploughs steeply uphill. At the top, the pickup truck parks in a tight corner, close to a petrol station. Here, there are chickens cackling around, a few concrete buildings, a shop and people from Thailand and Myanmar loitering around, smoking. “Is this it?” I look questioningly at Chris. He shrugs. We are not sure where exactly are we. Our passports were not stamped despite being checked earlier. As we reach to get our backpacks and get off the truck, a dark-skinned guy on a plastic white chair nearby calls out to us. “You must pay 100 Baht to driver.” Fair enough. 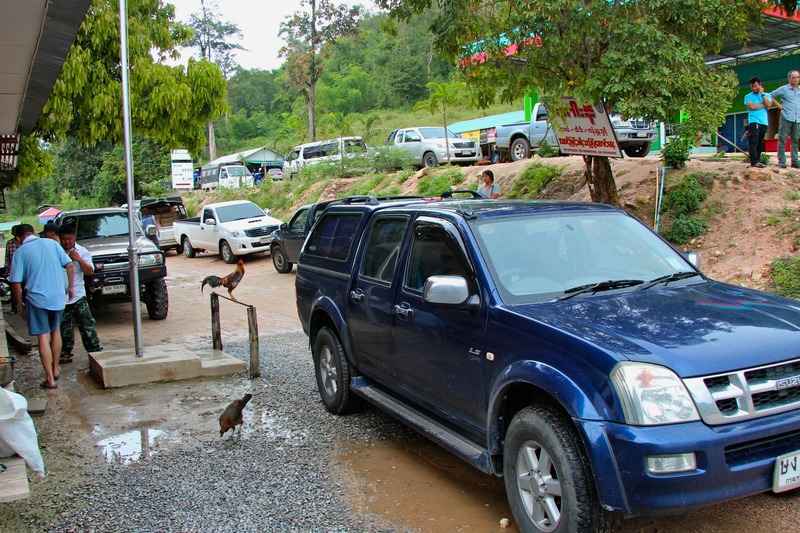 I have read somewhere that some drivers actually charge up to 50-100 Baht for ferrying foreign travellers across to the Htee Khee border checkpoint. When the friendly pickup driver comes around to the back to help us with our backpacks and Chris takes out a 100 Baht bill to give to him. To our surprise, the driver waves the bill away, shaking his head. “Je zu dim ba deh,” I thank him in Burmese profusely and he flashes me another toothy bloody-red smile in return. 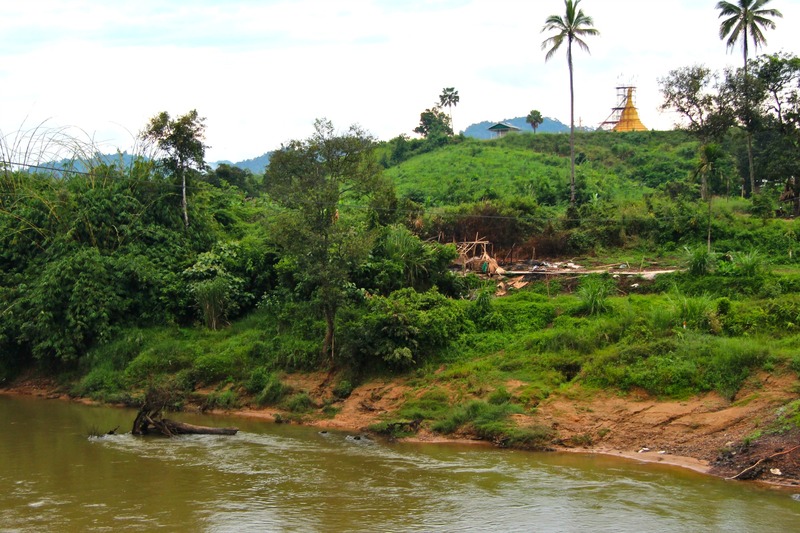 On this plateau that’s teeming with locals and probably Thai businessmen and tourists, we have asked around for Dawei but no one could advise us in the manner that we can understand. There were only finger pointing, puzzled faces and sorry-I-can’t-help-you-shrugs. It’s a little past 1.00pm and I begin to worry. If we don’t find some sort of transportation to Dawei soon, we’ll never get there before dark. By now, the sky darkens again and threatens to pour. We approach a middle-aged Thai man in a crisp shirt and ask if he knows anything about getting to Dawei. To our relief, the man replies in near fluent English, telling us that we have yet to actually cross the Burmese border. “We’re not in Myanmar yet?” I ask incredulously. He laughs at my ignorance but not unkindly. “No, this is still–nowhere. Myanmar is over there.” He points to the descending gravel track that rolls out further into the horizon. At end of the gravel track are a hotch-potch of thatched huts, tiny concrete buildings and vehicles, and over there, we see the proper gateway into Myanmar. Oh, just travelling, I mumble. How do I explain to this kind man that we’ve placed ourselves on this path of struggle just for the sake of an adventure? At the little chaotic bus station on the plateau, we manage to find a ride for USD$ 50. The Burmese man scribbling on a desk at the corner, surrounded by locals throwing wads of crumpled Kyats and passports on the table, had somehow found a clunky Toyota Hiace van and an elderly driver for us. 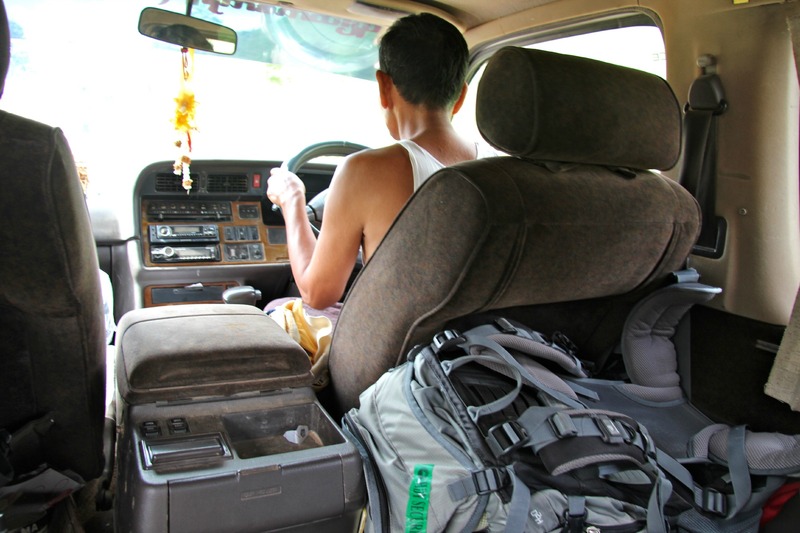 When we try to confirm with our driver if he will be taking us to Dawei, he only makes chewing noises in reply. On the dashboard I spot a fat wad of betel leaves and I understand why. He’s preparing himself for a long journey. The driver pulls up to the Immigration Office and we head inside. It looks more like a messy classroom with a few desks and piles of folders lying around. Two Officers in lungyi look annoyed when we step in, as if we’d disturbed their coffee break conversation. Here, they painstakingly copy our names in various pieces of documents. Then, one of them opens a large A3 notebook where they jot down our names and nationalities again. I peek and see that there are less than 150 foreign names on it. Neither of the Immigration Officers smile. Unlike the Thai Immigration Officer, these two look somber and anxious—their brows knitting furiously while copying our names. I quake in my seat while waiting for the process to be over. They haven’t asked either of us a single question yet. One of them starts up an old-fashioned webcam and it crackles to live. It takes another few more minutes before the gadget is ready and then, they photograph our profiles for the records. “Where are you going?” one asks. “Coconut Guesthouse.” I try to lie convincingly. The truth is, we have no idea where we are staying. We’ve previously run a search on guesthouses in Dawei but nothing came up. Only a handful of travellers on Trip Advisor had recommended Coconut Guesthouse and so perhaps that’s a good place to start. The Officers discuss among themselves in hush undertones. Do they suspect something? Does Coconut Guesthouse not exist? Thankfully, I don’t have to find out as they start stamping our passports and let us go. Htee Khee is as remote as you can get, so paved roads are a luxury. 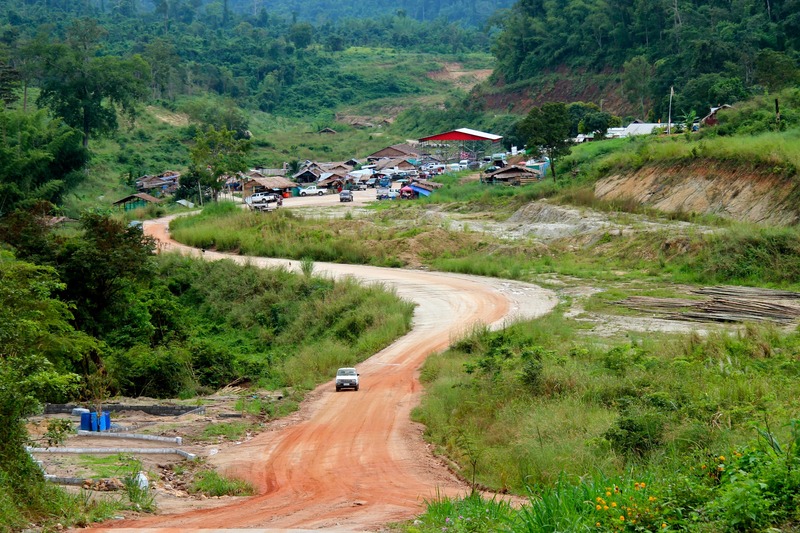 The road to Dawei is mainly gravel, truck tracks and pot-holed tarmac, making the journey longer than necessary. 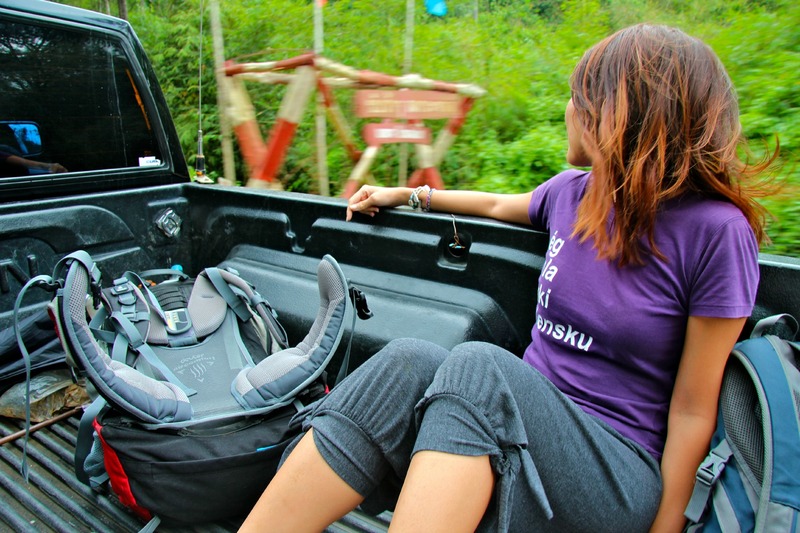 As our clunky Toyata Hiace bumps its way up, down and around the mountainous terrain, we hold on to our bags and hang on to our lives. I’m afraid bumping off a rock may veer the van off into the steep ravine below. The van is at least rather comfortable since we’re the only ones in it and for that, we’re grateful. Fast-moving landscapes of lush jungles, rivers and the occasional village with villagers going about their daily lives pass us. Every now and then, children run along with the moving vehicle and wave to us. We only stop once for food and then a few more times for immigration procedures. As foreign travel has only recently opened up in these parts of Myanmar, we’re still subjected to tedious passport checking, each time we pass some sort of regional border. The evening sun melts slowly into the horizon, sending brilliant fiery rays across the sky. Against the dusty panes, the sunset looks exquisite and awe-inspiring. On the road, the simple yet profound beauty of nature is evident. You don’t need much to revel in this deep sense of connection to life. When we get to Dawei, it is already dangerously dark. The driver drops us off at Shwe Moung Than Hotel and in our exhaustion; we don’t argue otherwise. Much later, we find out that staying at Shwe Moung Than Hotel was an excellent decision. We never found a double room with a bathroom attached again for 18,000 Kyats/18 USD. We will also discover that Coconut Guesthouse isn’t in Dawei but in Maungmagan Beach, 12 kilometres west of Dawei. The earliest bus from Kanchanaburi Bus Terminal to the Phu Nam Ron Border leaves at 10.30 am and then every hour after that. If you want to make it to Dawei before dark, I suggest starting your journey as early as you can. A ticket costs 70 Baht and the journey takes about 1.5 hours to the border. Hitch a ride through No Man’s Land or pay a driver to take you across. You don’t want to walk this 7-kilometres stretch of road with your backpack. 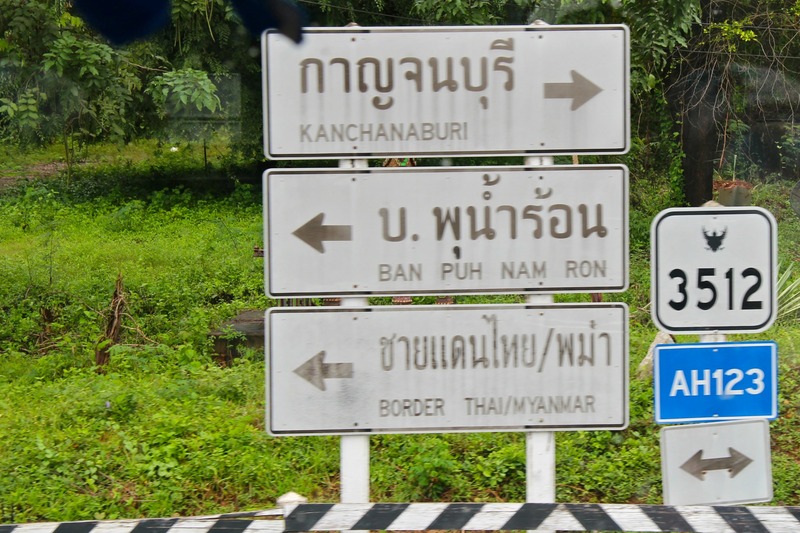 Expect some confusion and chaos once you exit the Thai border and into Myanmar. People don’t speak much English and they may sometimes ignore or misunderstand you. Persist with patience. Get a valid 28-day visa from the Myanmar visa in your country before embarking on this trip. As this overland border is so remote, don’t expect visa-on-arrival or e-visa services. A minivan ride from Htee Khee (border area on the Myanmar part) to Dawei may cost 25-30 USD/800-900 Baht each. If you have more people with you, you might get a better price. Make sure you have these currencies prepared because there are no ATM facilities nearby. If you’ve somehow managed to get hold of the local currency, Myanmar Kyat, before crossing the border then you can also use them. Phwoar! You really went for an adventure! Btw, love the new layout! Hi,thanks for the infos.I heard about the border crossing into Myanmar via Dawei few days ago.The hotel people mentioned about it,but I don’t quite beleive.Now I am thinking of taking that adventure trip soon. Hey Abd Rahman, thanks for dropping by! Yes, this path is still relatively unknown and new. Good luck with the adventure. It can be quite exciting–not knowing what will happen next! 😀 Yes, I shall. It’s on its way. You’ll see it soon. I promise you it’ll be just as exciting as the overland adventure. And definitely, you should do the same route! Great post!! I’m about to embark on this journey myself in the next couple of days!! Wish me luck!! =) Thank you for the useful info!! Good luck Zoe! Let me know how it goes! Hi, thanks for the very useful information. I am planning to visit Myanmar in August, was thinking to cross the border in Mae Sai, spend a coulple of days in Kentung, fly to Mandalay and visit the country all the way down to Dawei. I would like to go back to Thailand overland through the Kanchanaburi check point, Do you think it is doable if I get a full visa in advance? I am still trying to figure out if the Kanchanaburi check point is completely free (e.g if you can use it just to go back to Thailand, having entering Myanmar from Mae Sai). Hi Marco, I believe you can do so as long as Kentung is available for overland travel. 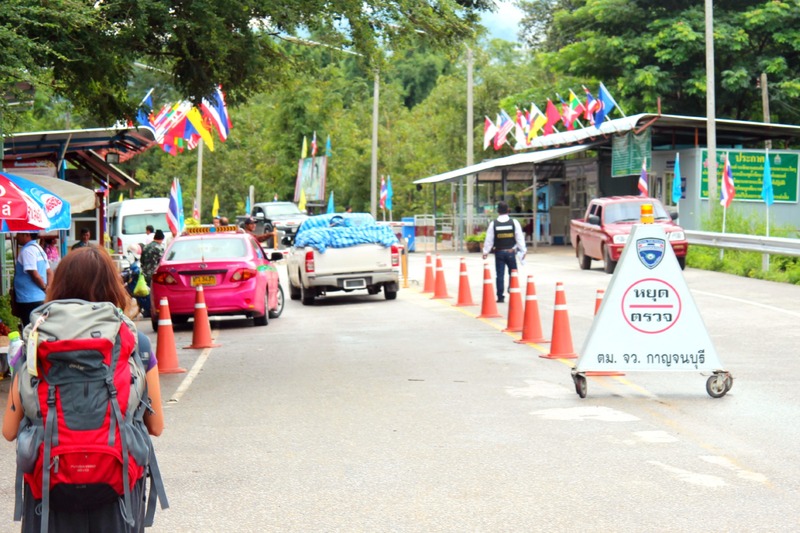 But I can assure you that the Kanchanaburi check point will be relatively easy to cross from Myanmar to Thailand. Obviously you’d need a visa prior to entering Myanmar view Mae Sai’s border. Good luck and let me know how it goes! Hi Piccolla. Thanks for the update. I did ride big bike until Myawaddy via Mae Sot and intend to do the same to Dawei via Htee Khee/Kanchanaburi. Is this border (Htee Khee) allow foreign vehicle to pass through? Hi Mazlan, unfortunately I’m can’t be sure about this. However, I’ve seen many Thais driving into Htee Khee with their cars so maybe it’s allowed? Oh, that’s good to know. Hope you’re enjoying your biking trip! I’m Anthony here from Malaysia and intend to travel to Burma by bike as well. Would be appreciated if you Dan share your experience during crossing the border from kanchaburi please? Any entry permit or visa required pls? Will be much appreciated your kind info. N assistance. Rather delicate to bring bike into Myanmar. Required guide and costly procedure. Myanmar asked for US$ 1420 for 7 days ride excluding lunch and dinner and fuel. If you still intend to proceed do contact me at my email [email protected]. I divert my tour to Laos and really enjoy our ride. Very useful article! Not many to find online about overland border crossings. 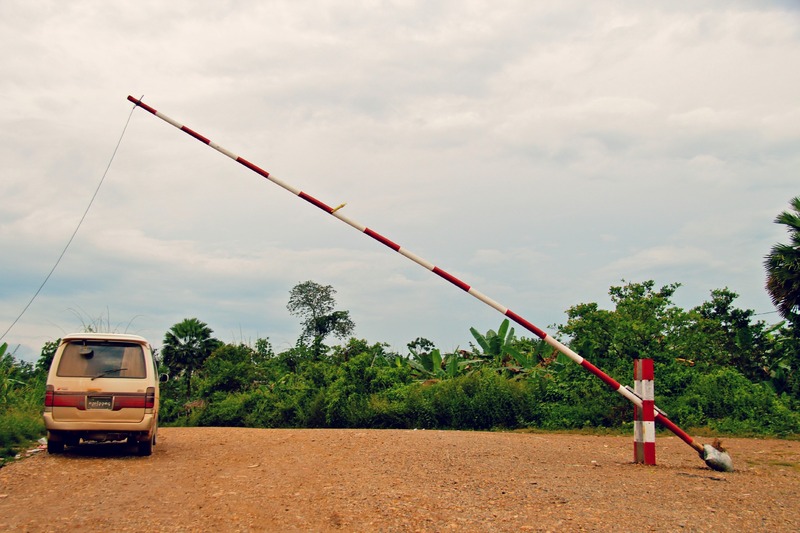 Do you know if you need to use the same border crossing to go out of Myanmar as you went in? Is it for example possible to come in overland and leave at the airport? Hello! Very helpful, thanks. We’re going to do this trip tomorrow in reverse. Looks like fun. You’re welcome, David! I’m curious to know how it went! Ciao piccola Ying. Interesting adventure! Always useful and funny reading your stories. I don’t travel so much and appreciate to read your experience. A presto! Grazie Ilaria! I hope to write many more funny stories to keep you entertained! I have to agree with Ilaria,it was a hilarious story,i was crying from that.Very nice and funny.I am in the Jolly Frog in Kanchanburi,i stay there for 100 bht and very beautyfull garden with the view at river Kwai,nearby the bridge.